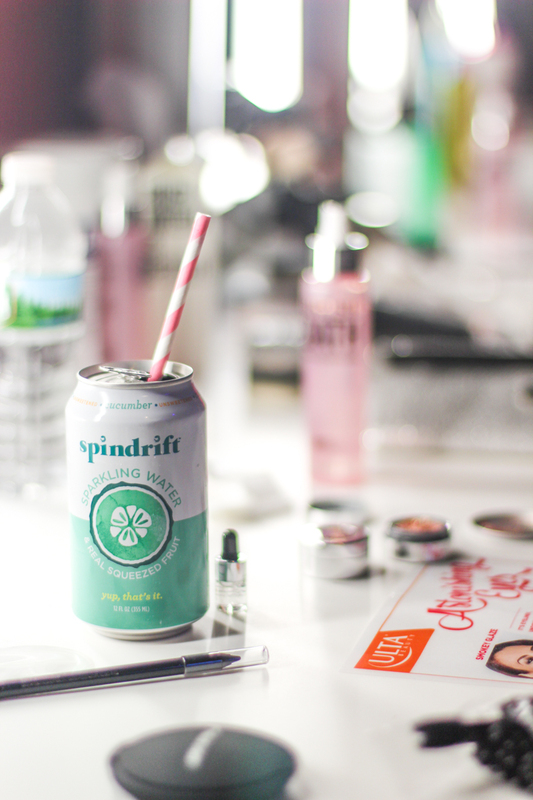 Last weekend was College Fashion Week with Spindrift and HerCampus and it was a pretty sweet way to spend a Saturday night if you ask me! 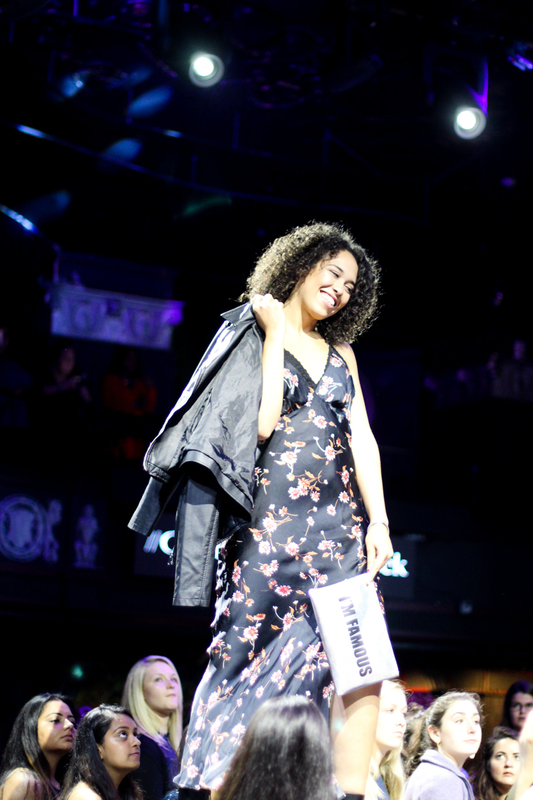 It all went down at Royale Nightclub; College students had the chance to see shows from local designers and international brands, mix and mingle with fellow students, and hang with some of my favorite brands like Ulta Beauty and Primark while enjoying a night out on the town. I never know what to wear for fashion shows so I went with a simple silk tank, printed pants, leather jacket, statement shoes from Kate Spade New York and a bold red lip. It was the perfect look for the evening! After checking in I spotted fellow bloggers Alexa and Olivia so we joined forces and grabbed a Spindrift before making the rounds to the various vendors and activations. 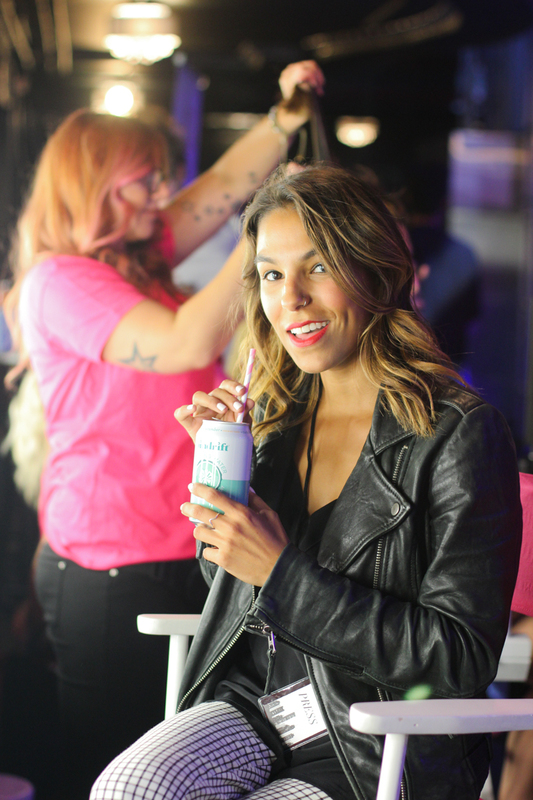 There was a style closet from Primark, products and consultations from Bed Head, and mini makeovers from Ulta Beauty. As soon as I spotted my favorite DJ Liz Ladoux on stage I knew we were in for a fun night! We snagged some seats for the show and hung out enjoying snacks from Kettle Chips while snapping selfies and sipping on Spindrift waiting for the show to start (Try the cucumber flavor; it's my favorite!). Now in it's 6th year, College Fashion Week 2017 featured styles from Cleobella and XIX Palms. The best thing about the CFW shows is that they feature real students as models; LOVE THAT. It was really nice to be in the crowd supporting them and my friend and fellow fashion blogger, Kristen of The Boston Fashionista! Kristen was the emcee for the evening and she was killing it on stage in a gorgeous red number! Loved, loved, loved the shows! We had such a great time hanging out at CFW; I can't wait for next year. Thanks so much to Spindrift for inviting me! Be sure to follow along with Spindrift on Instagram @SpindriftFresh. This post was created in collaboration with Spindrift. All content and opinions expressed are my own. Thanks for supporting those who support Style-Wire.com!